There was a lot to unpack after the one-two punch of Discovery's slam-bang premiere, and many questions left unanswered. But thankfully Captain Lorca has arrived to give us some context. Or has he? This week hosts Cam Smith and Tyler Orton, along with special guest Vicki Siu, dive into the series' first post-Shenzou episode which introduces viewers to the titular ship and its alternately quirky and mysterious crew. Over the course of a lively discussion, the trio offer their first impressions on Jason Isaac's ominous captain, as well as major players Cadet Tilly and Commander Landry, and debate what impact the addition of spores and ravenous space-beasts will have on Michael Burnham's increasingly complicated journey. Plus, as usual, the reliable ship Ortonville docks in order to unload his thoughts regarding episode four of The Orville, If the Stars Should Appear. Wanna appear on the show? Shoot us a 30 to 60-second audio clip telling us your thoughts regarding CONTEXT IS FOR KINGS and you could take the spotlight in an upcoming program! You can also send any other questions, topic ideas or feedback to subspacetransmissionspod@gmail.com! 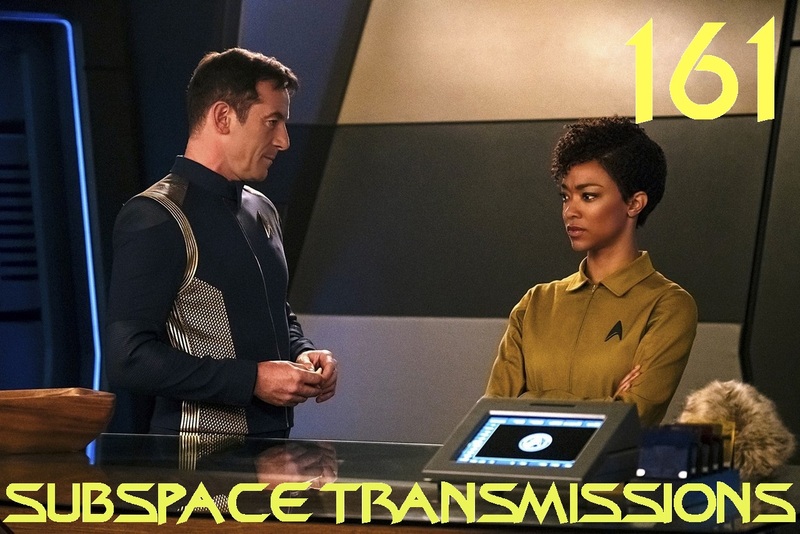 Join us next week as we examine Discovery's fourth episode The Butcher's Knife Cares Not for the Lamb's Cry.